House Bill 494 – IMMUNIZATION – Amends existing law to revise provisions regarding certain notification. Statement of Purpose: To provide clarity in Idaho Code section 39-4804 regarding notification given to parents or guardians. New language is added to require a verifiable record that immunization registry informed consent has been obtained. House Bill 393 – INSURANCE – Amends existing law to revise provisions regarding the Idaho Immunization Assessment Board and to extend a sunset date. Senate Bill 1227 – IMMUNIZATIONS – Amends existing law to clarify language regarding exemptions. Senate Bill 1050 – IMMUNIZATIONS – Amends existing law to clarify language regarding exemptions. On February 23rd, a hearing without a vote happened on SB 1050. Health & Welfare’s Executive Director Richard Armstrong, as well as a Health Freedom Idaho representative each had about a half hour to present to the Senate Health & Welfare Committee. After the presentations, several people were able to testify. The Idaho State Board of Education has indicated they are willing to take oversight of this new policy if passed through their Board of Directors. A draft policy agreement is currently being created by Senator Martin which will be shared and hopefully signed off on by every state university communicating that the Idaho State Board of Education will take on the oversight of this new policy through their Board of Directors rather than a mandate through the Idaho Legislature. Only one immunization-related bill was brought before the 2016 Idaho Legislature. This bill was Senate Bill 1294 “Practice of Pharmacy.” The Idaho Immunization Coalition maintained a neutral stance in regards to supporting the bill to amend statute 54-1704. S1294 – Practice of Pharmacy: The Idaho State Pharmacy Association brought legislation to lower the pediatric patient age at which an Idaho pharmacist can independently prescribe vaccines from twelve (12) years to six (6) years of age. In other states around the country, the ages for pharmacists prescribing vaccines for youth are all over the spectrum ranging from birth through 18 years. By lowering the pharmacist vaccine prescribing age, the Idaho Department of Health and Welfare suspects that there will be modest improvements in access to some vaccinations for children ages six through 11, over time. These improvements are expected to be gradual due to the fact that fewer vaccines are generally administered for this age group, compared to children ages six and under. Currently, less than half of the retail pharmacy sites in state are reporting immunizations in the Idaho Immunization Reminder Information System (IRIS). With more pharmacists prescribing additional vaccines to this expanded group of children, it may be an ideal time to further assess the potential advantages of having more retail pharmacies reporting to IRIS for more complete immunization records in Idaho. S1294 passed easily and the amendment to the existing statute will go into effect on July 1, 2016. 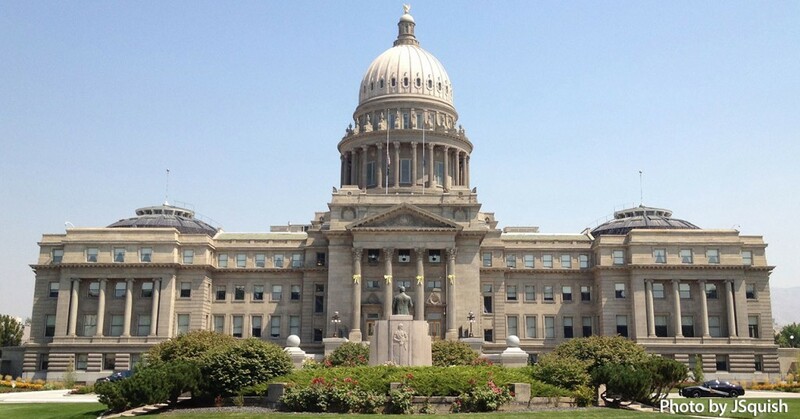 There were two bills before the 2015 Idaho Legislature which were of interest to the IIC. The first was House Bill 107 “Immunization board, sunset date,” and the second was Senate Bill 1121 “Immunization registry.” The IIC supported both bills. H107 – Immunization Board, Sunset Date : Every state provides free vaccines for children under the age of 19 who are covered by Medicaid, are un- or under-insured, are American Indian or Alaska Native. These vaccines are funded by the federal government through the Vaccines for Children (VFC) program. Some states, including Idaho, also provide vaccines for insured children. The states are referred to a “universal purchase states” or simply “universal states.” There are several different financing mechanisms that states use to provide vaccines universally, such as using tax funds, setting up billing programs that replenish vaccine fund accounts, or – as is the case in Idaho – charging insurance companies an “assessment” based on the number of children they cover, and using those funds to purchase vaccines. Idaho’s assessment program was created in 2010 and at that time insurance companies asked that the law have a “sunset clause” which would automatically end the program after three years unless there was a vote to extend the program. The 2013 Legislature extended the program’s sunset for two more years, and it would have ended on July 1, 2015 without additional action. If the vaccine assessment program did sunset, Idaho would become a VFC-only state where the Idaho Immunization Program would provide federally funded vaccines to providers for their federally-eligible children, and providers would have to privately purchase vaccines for their insured children. Idaho insurance companies, the Idaho Department of Insurance, the Idaho Department of Health and Welfare, and medical providers, all supported H107 during the 2015 legislative session. The bill passed, and it extends the sunset on the assessment program until July 1, 2017. If the program continues to operate well, it is likely that the 2017 Legislature will be asked to remove the sunset clause entirely, and Idaho’s assessment program will become permanent. S1121 – Immunization Registry: When Idaho’s Immunization Reminder Information System (IRIS) was created in law in 1999, immunization registries were still new ideas. In those days the vast majority of medical providers used paper-based medical records, and those who did use electronic records mostly used offline systems that didn’t electronically share data. For these reasons, the original statute created IRIS as the final, end repository of immunization data, and prohibited those data from being electronically exchanged with other medical record systems. In the intervening years between IRIS’s creation and today, much has changed in the medical records landscape. These days almost all providers use electronic medical record systems, and more and more of these systems are linking up to share data in a more efficient and economical manner. IRIS has been linking to provider records systems for over a decade, and today it receives data from nearly 200 medical offices, pharmacies and local public health departments (uni-directional data exchange), but the IRIS statute does not allow IRIS to return missing information to providers’ records systems (bi-directional data exchange). S1121 changes the law to allow for bi-directional data exchange between IRIS and medical record systems, and added the Idaho Health Data Exchange as an entity authorized to receive immunization data from IRIS. S1121 passed and goes into effect on July 1, 2015, and the Idaho Immunization Program is working diligently to make sure that IRIS is ready to meet the new demands that will soon be placed on it. The 2014 Legislative Session was short and uneventful for immunization advocates. S1295 was passed, repealing existing law relating to the sunset provision of the Idaho Childhood Immunization Policy Commission. Now that the 2013 legislative session has ended, we wanted to give you a brief overview of its impacts on the Idaho Immunization Program (IIP). The IIP was interested in four bills this year (not including budget bills): S1011, S1012, S1073 and H178. To clarify that IRIS is not exclusively a childhood immunization registry, but also includes adult immunization data. During the Senate Health and Welfare Committee hearing, the bill met with some opposition. The stated objections, though often irrelevant to the intent of the bill, were voluminous enough that the Department of Health and Welfare (DHW) asked the committee to hold the bill to allow a new bill, S1073, to be introduced to address what we perceived as the public’s primary concern. S1011 — “IMMUNIZATION – Amends existing law to clarify terminology regarding removal of information from the immunization registry.”This bill proposed changes to another section of Idaho code to bring it in line with the changes proposed in S1012. When the DHW asked the committee to hold the previous bill, this bill was also held as it was contingent upon passage of S1012. S1073 — “IMMUNIZATION REGISTRY – Amends existing law to revise terminology, to provide for both adults and children in the immunization registry, to provide for a health data exchange in disclosure of information, to revise a provision relating to removal of information from the registry and to revise a provision relating to disclosure of confidential information.”This bill, which replaced S1012 and S1011, was introduced by DHW to address the public’s primary concerns regarding the proposal to retain non-medical information in IRIS for people who had opted out of participation in the registry. Some members of the public told committee members that they would prefer having the responsibility to ensure their providers to not submit their medical data if they have opted out of the registry over having their non-medical information remain in IRIS.Although we thought S1073 addressed the primary concern voiced by the public, members of an anti-vaccine organization continued to voice strong opposition to committee members and other representatives. It became clear that opposition to the bill was due to the fact it was associated with immunizations, even though S1073 did not change vaccine requirements, recommendations, or exemption rights. After consultation with various stakeholders, DHW asked the committee to also hold this bill. H178 — “IMMUNIZATION BOARDS – Amends existing law to extend the sunset date of immunization boards under the purview of the Department of Insurance by two years.”To end on a high note, House Bill 178 which proposed to extend Idaho’s vaccine assessment on insurance companies, passed. The original statute, passed in 2010, placed a 3-year sunset clause on the assessment activities and would have expired on July 1, 2013 without this extension. Without passage of H178, Idaho would have become a “VFC-only” state, meaning that vaccine providers would have had to purchase and maintain a separate stock of vaccines to administer to insured children.The vaccine assessment is supported by Idaho insurance companies since it allows them to leverage the cost savings of vaccines purchased at federal contract prices which are substantially lower than private market prices. Sign up to help Get Immunized, Idaho!